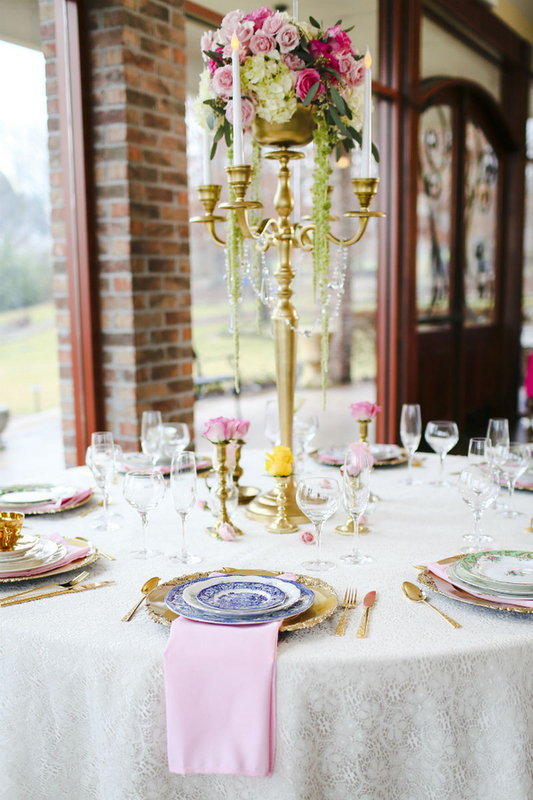 This colorful table-scape inspiration shoot from a talented team of Tennessee wedding vendors, recreates the look of spring’s bright and beautiful colors on a table. 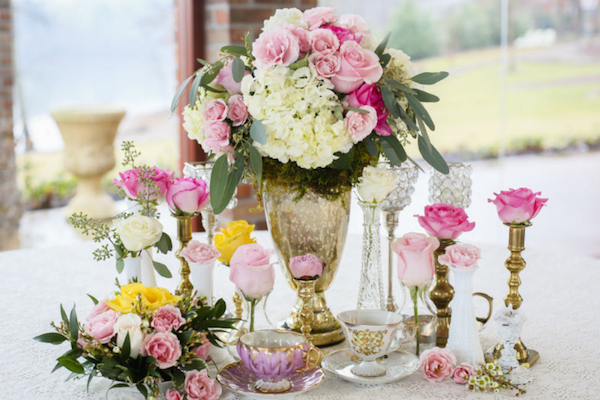 The “Colorful & Timeless Spring Romance” inspired shoot pulled together a look that’s delicate and perfect for early spring. 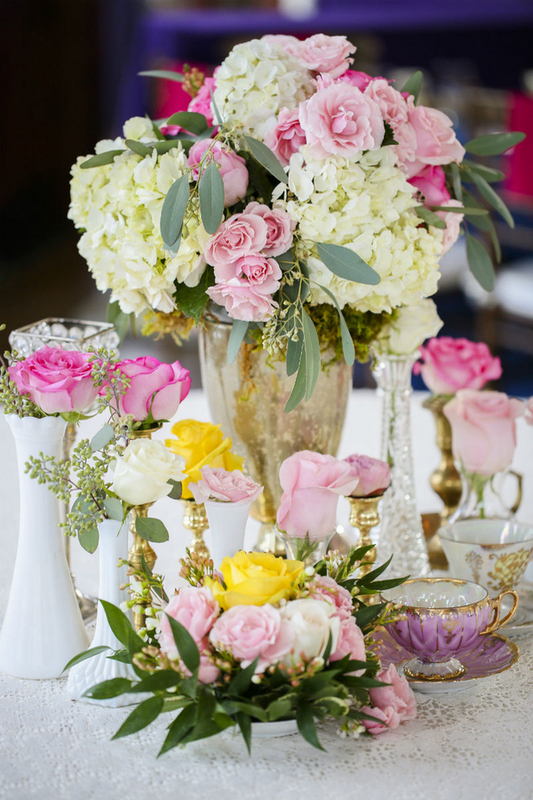 With the inspiration from flowers just beginning to bloom, the team used super bright blooms on candlesticks and vases mixed with brightly colored mismatched china. 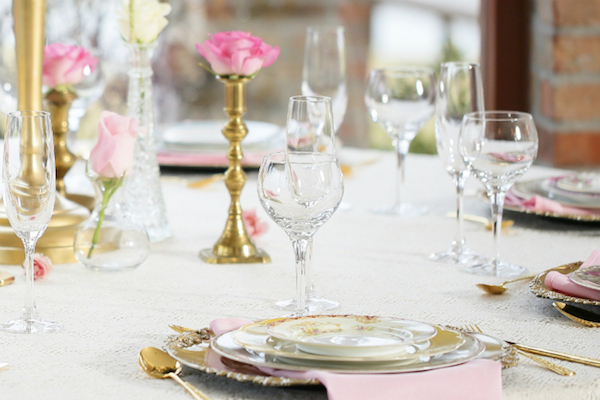 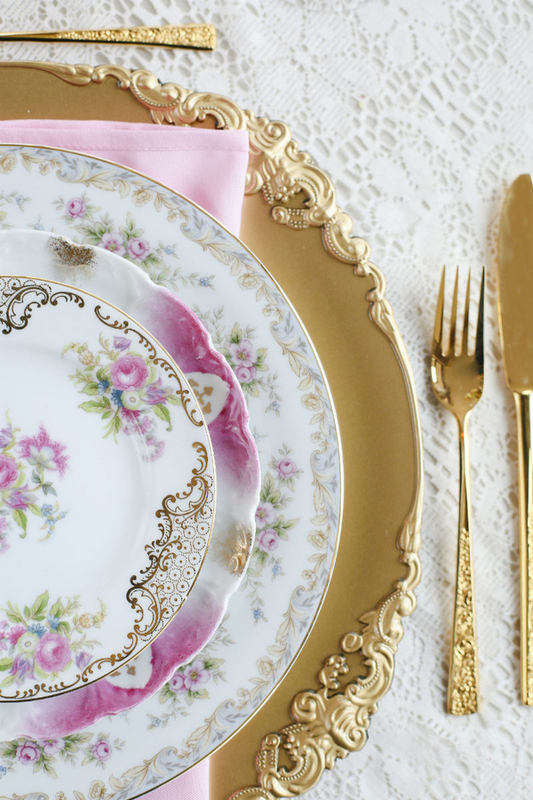 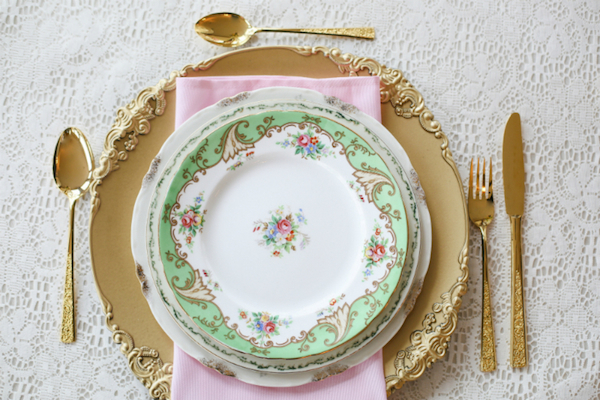 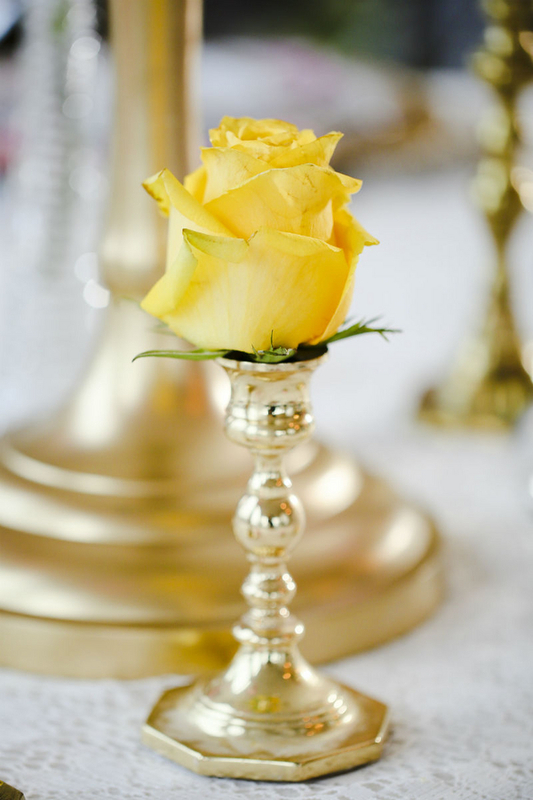 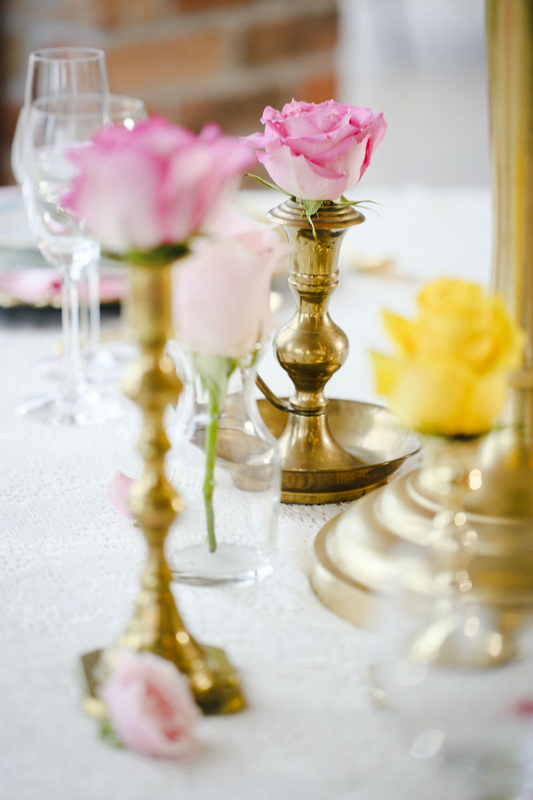 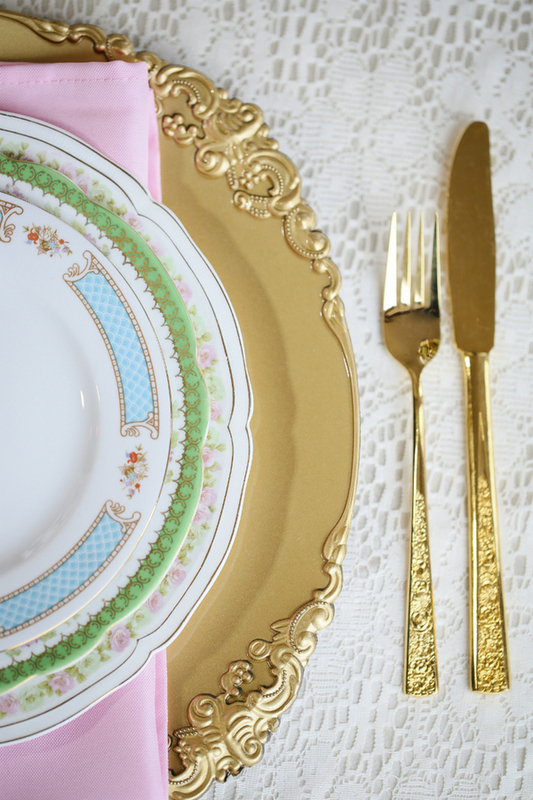 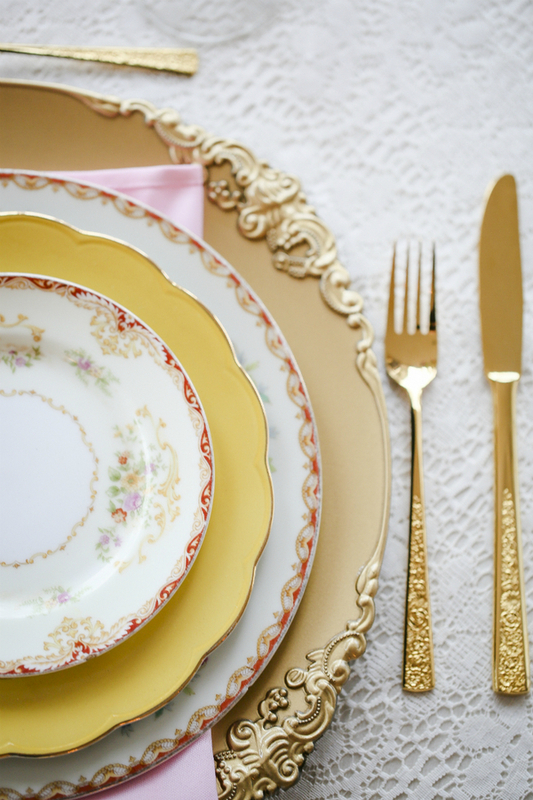 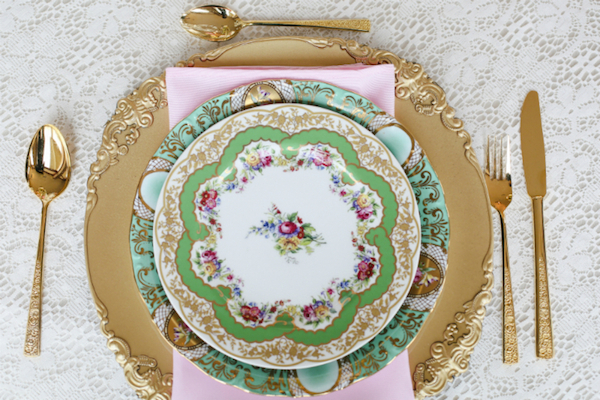 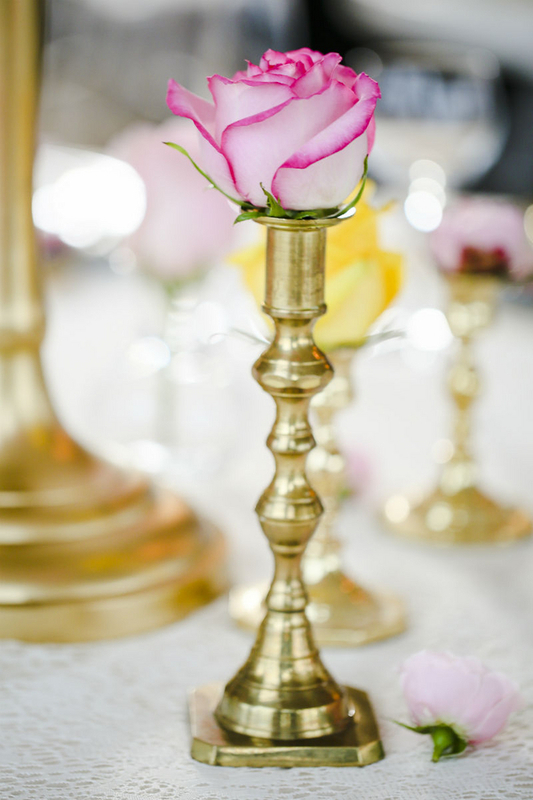 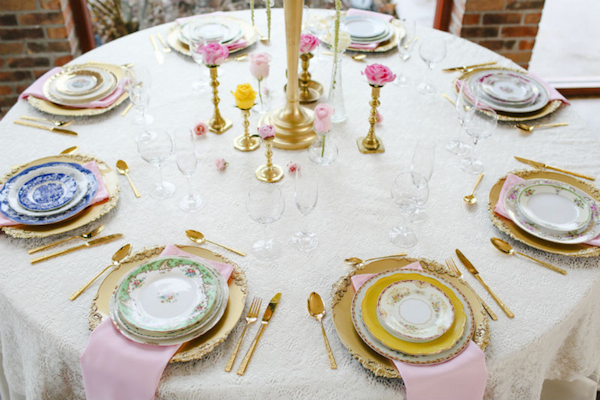 Adding shimmery gold flatware for the place settings completed the inspiring spring wedding table. 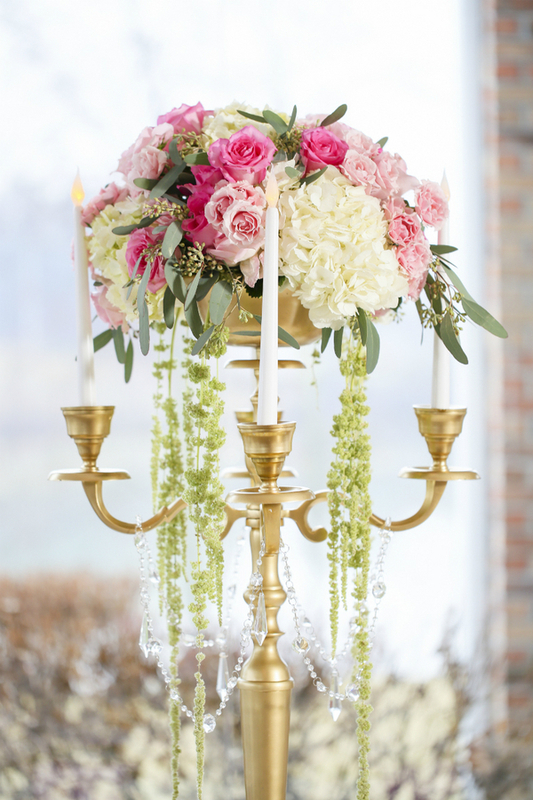 To recreate spring’s warm sunlight shimmering through dangling candelabra crystals, the team mirrored the shimmery feel in the centerpiece design. 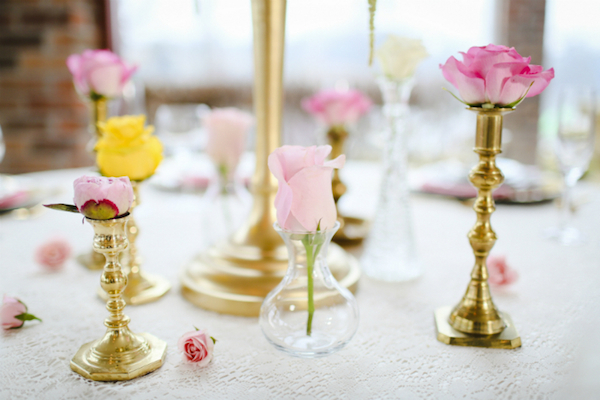 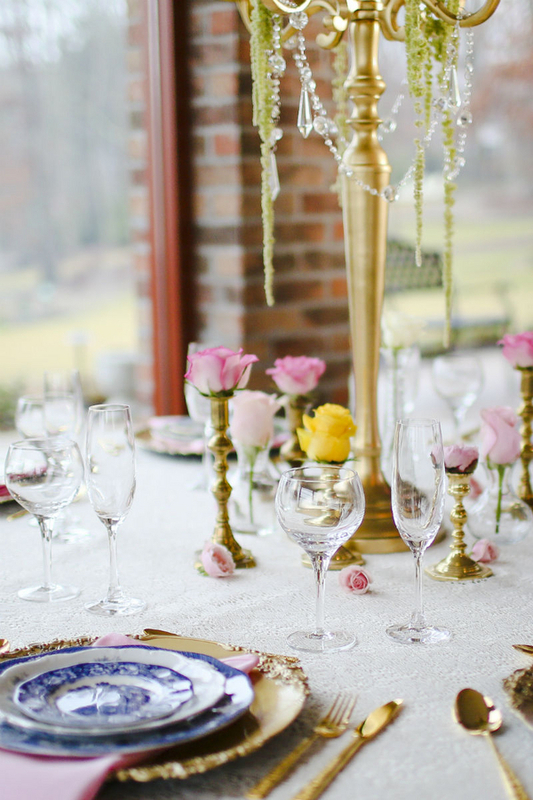 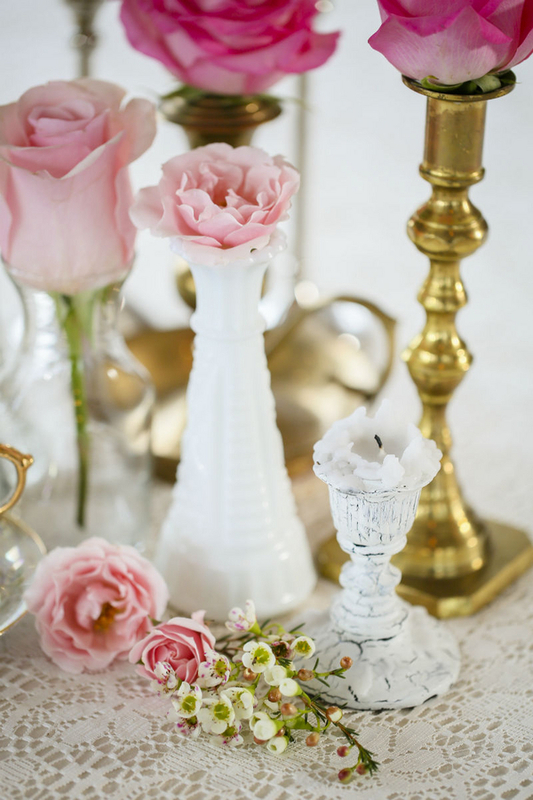 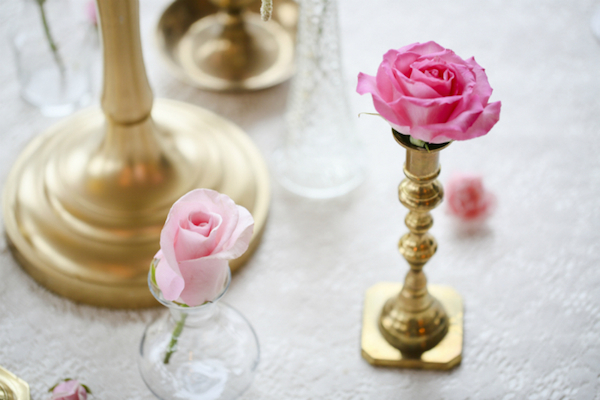 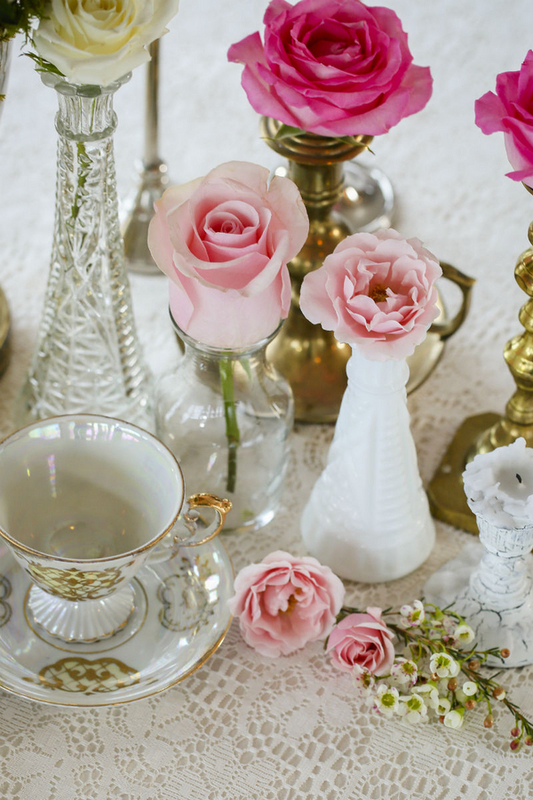 The glimmering teacups, clear glass, mercury glass, crystal candle holders, and shiny gold candlesticks create a shiny and shimmery scene that matches the gorgeous glow of a sunny spring day. 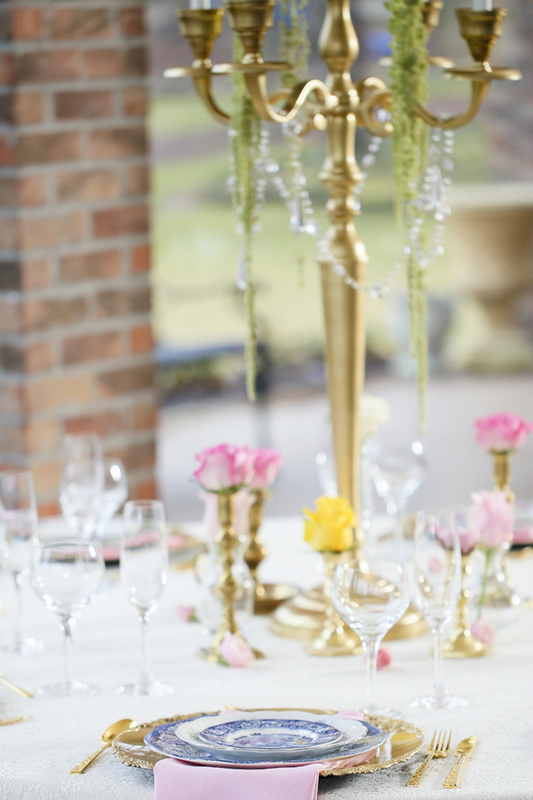 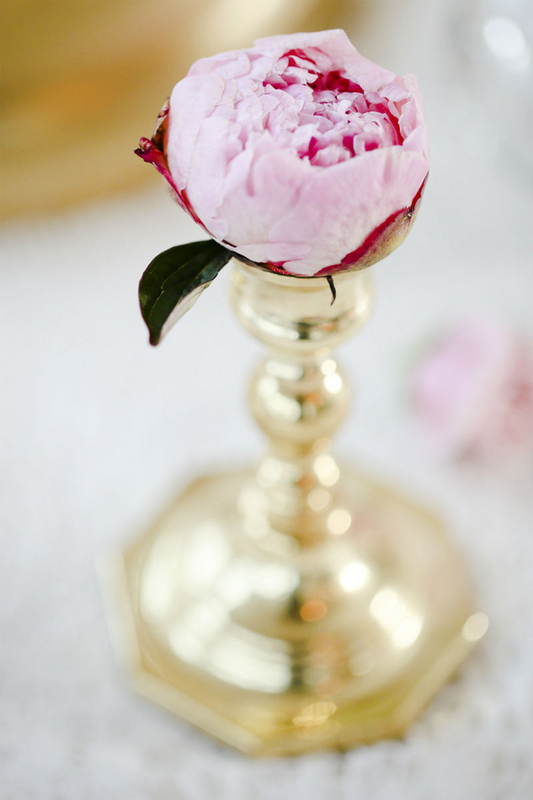 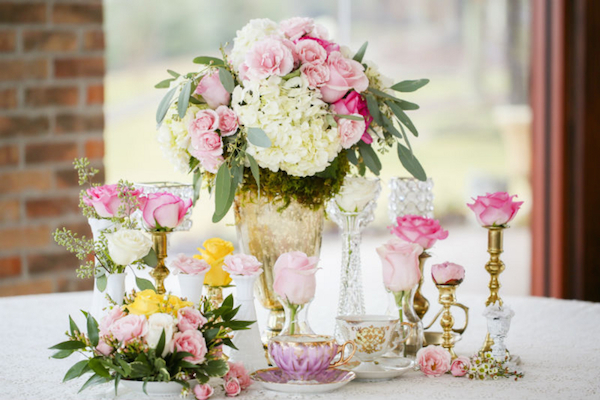 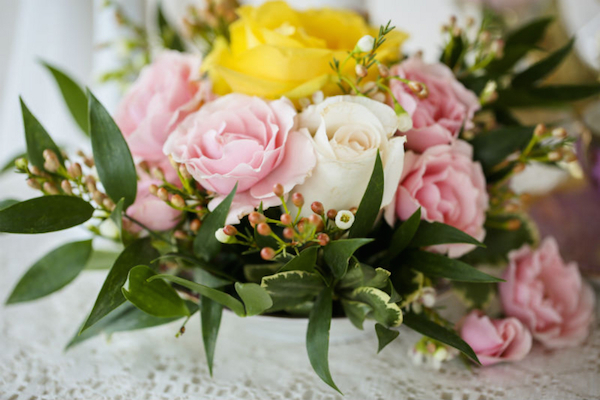 LB Floral decorated the inspiration shoot with sweet and elegant spring florals. 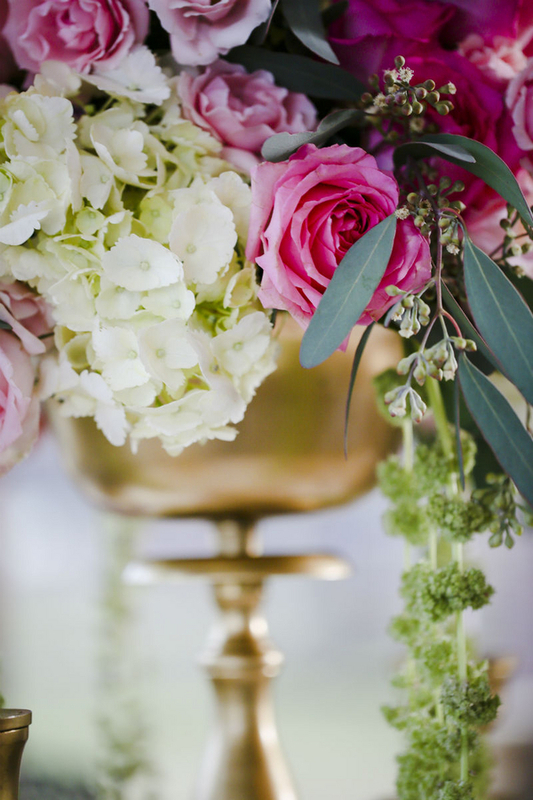 The delicate green moss and sweeping greenery coming from an over-sized candelabra and mercury glass vase were the perfect hanging flowers to create the sense of spring’s delicate nature. 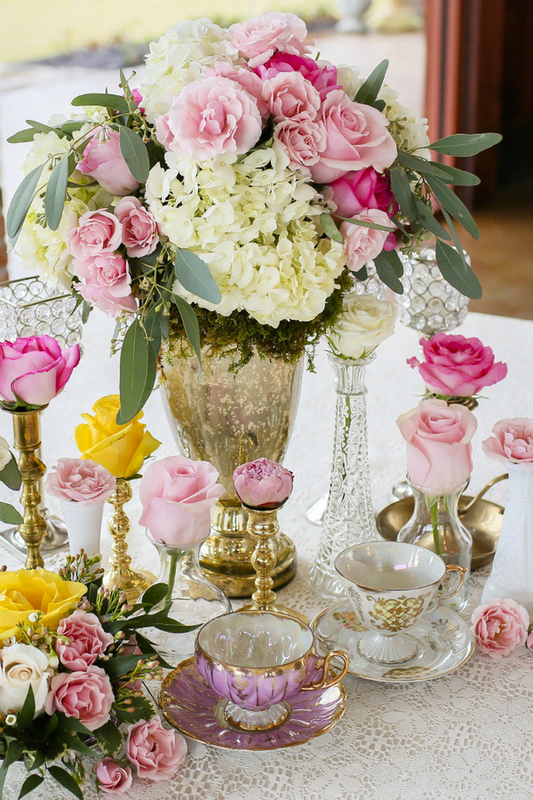 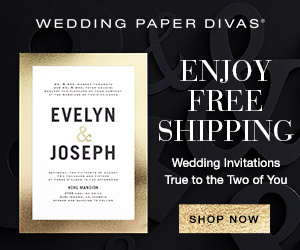 This inspired wedding table is sure to set your mind working as you create a look for your own wedding table. 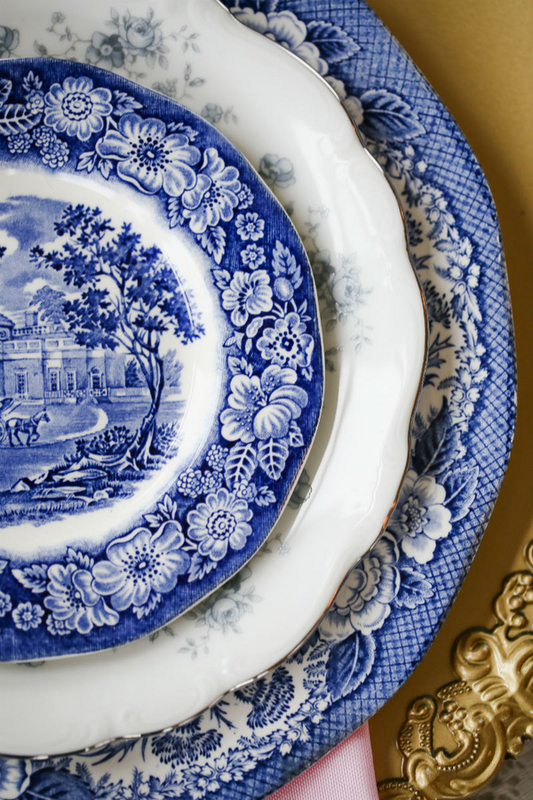 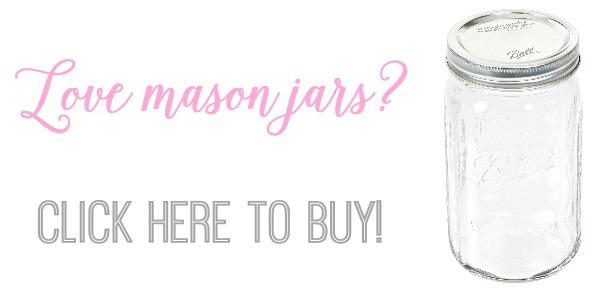 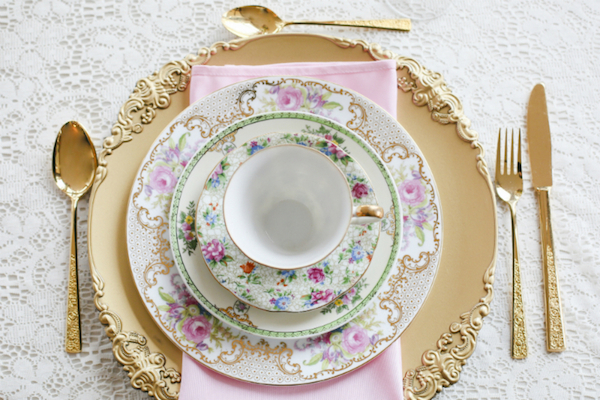 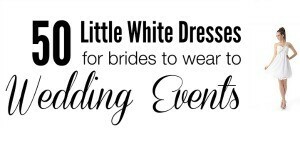 If you’re planning a spring wedding remember these delicate florals and easily mismatched china!